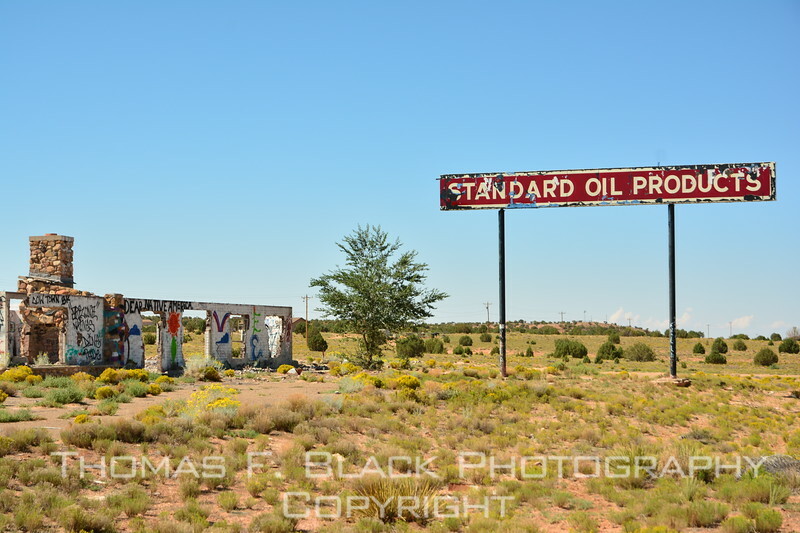 abandoned standard oil (Now chevron) station and trading post on navajo reservation. while I was taking pictures, a najavo drove up in a beat-up truck. I looked for a gun rack and found none. he got out, introduced himself and proceeded to relate the sad backstory. said he worked there as a teen. when epa rules took effect in 1970s, standard oil was ordered to clean up the soil toxins. Instead, it effectly thumbed its nose at the edict and left the building behind. tanks remain in ground.